Simon & Schuster, 9780684838779, 208pp. Each of us carries a song inside us, the song that makes us human. Zen Guitar provides the key to unlocking this song—a series of life lessons presented through the metaphor of music. Philip Sudo offers his own experiences with music to enable us to rediscover the harmony in each of our lives and open ourselves to Zen awareness uniquely suited to the Western Mind. Through fifty-eight lessons that provide focus and a guide, the reader is led through to Zen awareness. This harmony is further illuminated through quotes from sources ranging from Eric Clapton and Jimi Hendrix to Miles Davis. 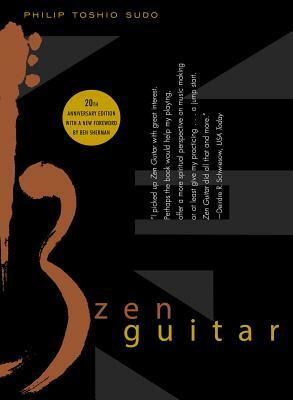 From those who have never strummed a guitar to the more experienced, Zen Guitar shows how the path of music offers fulfillment in all aspects of life—a winning idea and an instant classic.